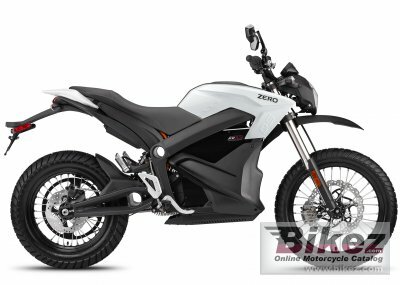 2014 Zero DS ZF 11.4. Picture credits - Zero. Submit more pictures. Blast down a gravel road or a dusty trail. When you�re ready, stealthily pass from the wild to the civilized as you arrive at your destination. The Zero DS is tough when you demand it and distinguished when required. Price as new (MSRP): US$ 14995. Prices depend on country, taxes, accessories, etc. Front brakes: Single disc. Floating discs. Two-piston calipers. Seat height: 843 mm (33.2 inches) If adjustable, lowest setting. Comments: Range up to 137 miles. 7.9 hour charging, 110 or 220 Volt. Lithium Ion 11.4 kWh battery. A power tank version with added range is available. Ask questions Join the 14 Zero DS ZF 11.4 discussion group or the general Zero discussion group.